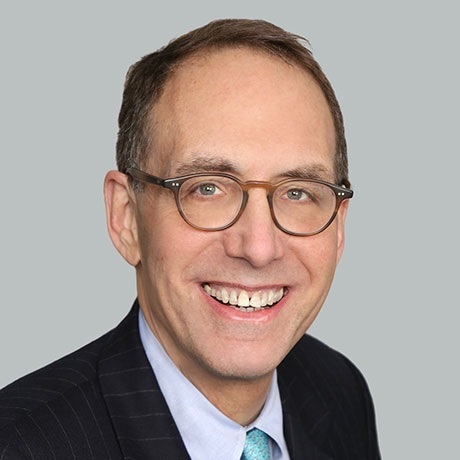 Fred Tannenbaum is a Partner at Gould & Ratner LLP. Early in his legal career, Fred Tannenbaum found himself in the center of successful deal negotiations that would transform our country’s entire telecommunications industry. His firsthand experience of getting things done for clients, even in new and uncharted territory, helped ignite his passion to support and guide corporate clients in their critical business transactions and strategies. In the ensuing 25 years, Fred has advised clients across myriad industries in more than 500 mergers, acquisitions, divestitures and strategic alliances, and in over 250 venture capital transactions. He also serves as de facto general counsel and strategic advisor to close to 100 small and mid-sized businesses. Fred is called a “CEO’s lawyer” and “lawyer’s lawyer” by his business owner clients for his breakthroughs in efficiently and practically resolving business issues within a legal context. He is in awe of the power of his clients’ products, services and ideas to disrupt traditions, shift lifestyles and culture, and reimagine skylines and landscapes. His clients appreciate the difference Fred offers: “He’s more of my business confidant than he is my lawyer … always thinking beyond the deal to the personal, debt and tax implications. I feel like I have a circle of protection around me when I’m working with Fred,” writes one client, a serial entrepreneur. Fred has helped that client – and many others like him – start, invest, operate, grow and sell businesses via private equity and venture capital. Fred’s big-picture strategy has helped clients thrive in and redefine more than 60 industries worldwide, including sectors such as manufacturing, distribution, food and beverage, media and entertainment, telecom, software and technology. Fred is a prominent leader in several local, national and international business, legal and charitable organizations. He serves on the boards of directors of several telecommunications and technology companies, as well as the American-Israel Chamber of Commerce. Fred is a past president and current executive committee member of Law Exchange International and he has received long-running recognition from Illinois SuperLawyers. A frequent author and speaker on business and legal issues, Fred has written a significant business law treatise, five law review articles, several chapters on venture capital and more than 100 articles on topics of importance to investors, entrepreneurs, lawyers and family businesses.